RabbiLapin.com is a living library of audio shiurim and written Torah Essays by Rabbi David Lapin. 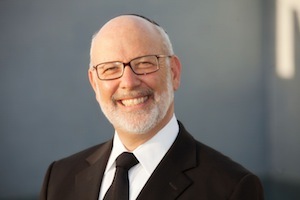 Rabbi Lapin's unique life at the intersection of modern international business and authentic Torah teaching, positions him to teach life changing and compelling principles from the Torah and provides tools to impact your business, professional and personal lives. Through RabbiLapin.com, Rabbi Lapin provides foundational principles by which to live and teaches you how to extract these principles from your own learning of Torah and Talmud. Thank you for visiting RabbiLapin.com. My shiurim, lectures and presentations are the accumulation of over thirty years of work as a rabbi and teacher. They were presented in various countries, at various times, to audiences of varying levels of Torah commitment and skills. They were intended specifically and only for the audience to which they were given. They were originally recorded to assist the learning of those who attended the live sessions, and were not intended for distribution beyond. However, as time has gone by the audio tapes have been more widely distributed and I have been privileged to witness the remarkable impact they have had on people throughout the world. I therefore succumbed to the pressure of making them more widely available by means of RabbiLapin.com. There are some approaches expressed in these lectures that may be more appropriate for one person or community than for another. They may have been more acceptable in the religious and socio-political environment then than they would be today. While the foundation of my philosophy is unchanged, you will notice an evolution of thought. There are ideas I expressed long ago that I would express differently today; yet they are included because they form an integral part of the Torah I have taught. All of RabbiLapin.com lectures should be appreciated in the context in which they were given. In the event that you hear any view on this site that does not accord with the way you have been taught Torah, please ask a Torah authority such as your rabbi to help you and abide by his guidance. Do not accept any comment as a Pesak Halachah for yourself without referring it to a competent halachik authority. Notwithstanding that, before rejecting any of the new ideas or approaches I teach, please reflect on them carefully, and consider whether they resonate with your own common-sense and your deep conscience. If they do, probe them deeply and carefully before rejecting them in favor of more conventional thinking. That is the way we expand our paradigms even within the framework of authentic Torah. That is how we grow. Please feel free to contact me directly for clarification, contextualization and personal application. Thank you for taking the time to learn Torah with me. Please respect the strict Halachik and Legal copyright that applies to all the material on this site. Any file you download may be used only for your own personal listening and that of your immediate family, unless I have sent you my written consent to use the material in any other way. Please excuse any errors there might be or less than perfect recording quality. Please draw any such errors in content, presentation or quality to my attention so that we can correct them and continuously improve the quality and value of RabbiLapin.com Lehagdil Torah uleHa’adira.